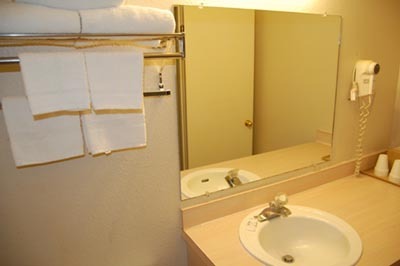 When you like to have separate spaces, then consider the Suite Room. 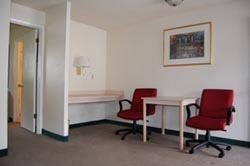 You have a separate living room with sofa, min-fridge, microwave, and desks with comfortable upright office style chairs. 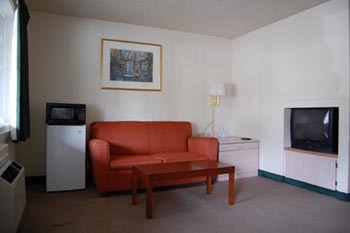 Unlike most of the other rooms, the TV is inset into the wall for a better viewing experience. 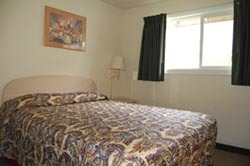 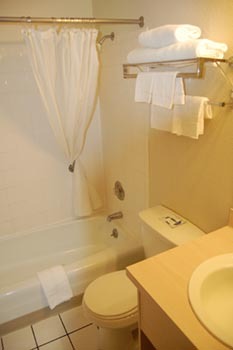 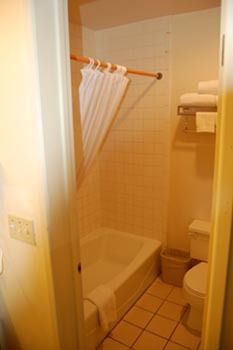 The separate bedroom has a queen bed and access to the full size bathroom.